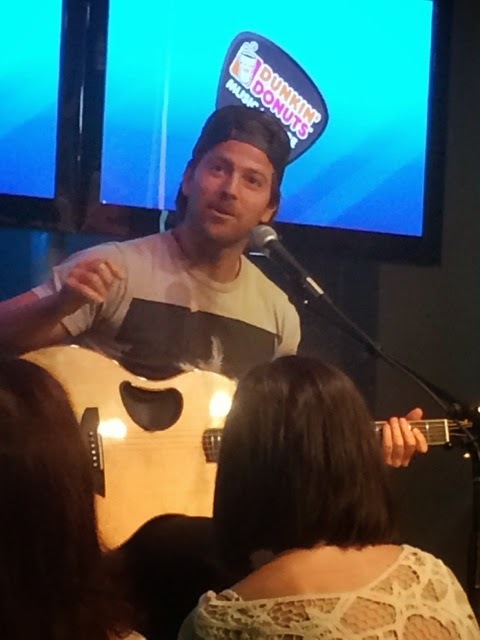 One of country music’s newest hit makers, Kip Moore, stopped by the Dunkin’ Donuts Music Lounge this morning, located at the Country 92.5 Studios in Hartford, Connecticut. 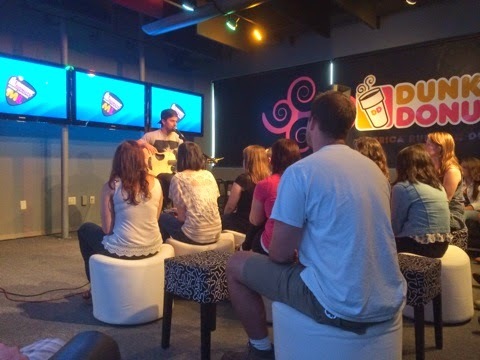 He treated a few lucky fans to an acoustic preview of a few of his songs off of his upcoming album as well as songs from his first release, Up All Night. Kip was extremely funny as he interacted and joked with the crowd while giving background to each of the songs he played. He began with Crazy One More Time from his first album, which he explained was his favorite song he has recorded. He followed it up with his new single Dirt Road, which told everyone was not about an actual road or even beer, but more about a rebellion. He wrote the song with his friend Weston Davis, who was also at the studio with him. He performed a stirring, stripped down version of the thoughtful song which paints a portrait of small town living in the listener’s mind as he sings the lyrics. He asked the crowd what they wanted to hear next and I shouted “Backseat”. He heard my request and explained that Backseat was an underground song they had been singing and that he had just recorded. 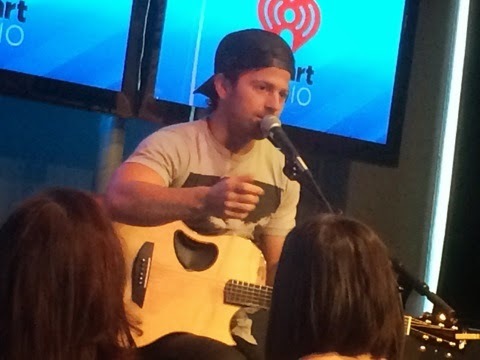 He said that they song is “very racey” and lots of people had mixed views on whether it could be played on the radio. 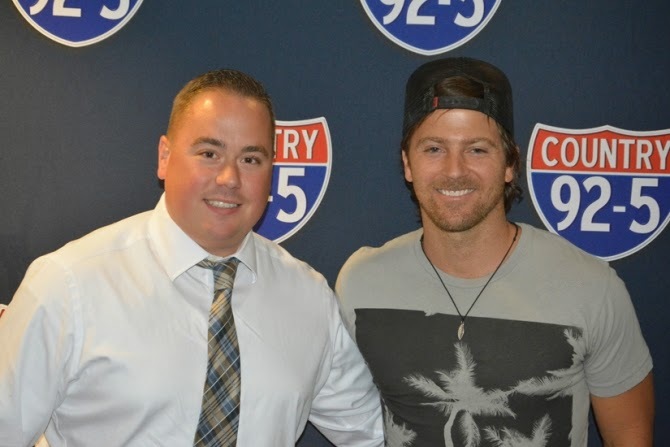 Cory Myers from the Electric Barnyard on 92.5 urged Kip to play a snippet of the song and Kip finally agreed. From the short version he performed, I can say it sounds absolutely awesome and I can’t wait to hear the full version and whole story in the song. Kip also performed two other new songs in full. Lipstick and Just One Beer, both of which cover love song topics, but are from different views. Lipstick is a catchy tune about a man craving to kiss his woman, while Just One Beer is a mid-tempo song about a man hitting on a girl in a seductive way. Both songs sound tremendous and make the wait for his new album that much more difficult. 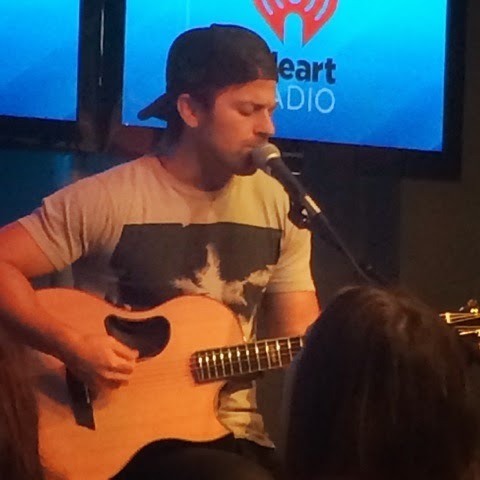 He finished off with a slow, but beautiful rendition of his mega-hit, Hey Pretty Girl. 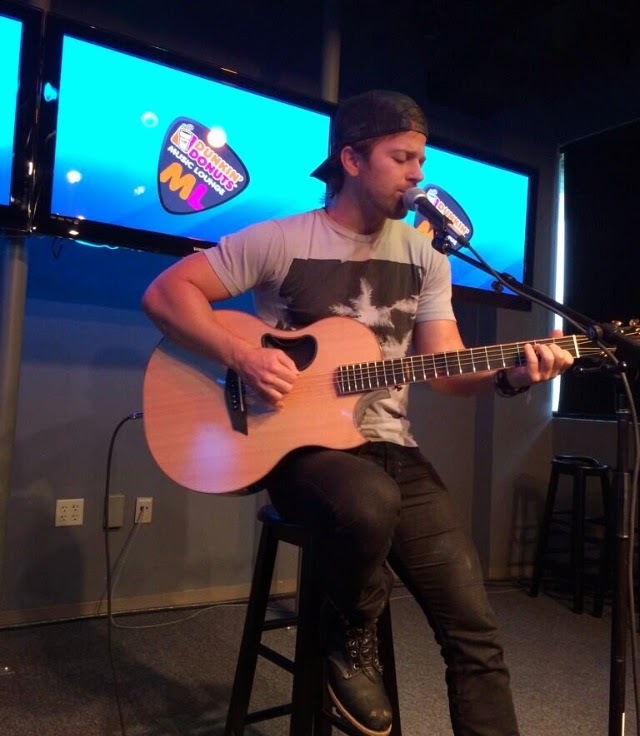 All in all, if you were present in the Dunkin Donuts Music Lounge today and could not recognize just how talented Kip Moore, you need your hearing checked. His voice combined with the attention to his lyrics are what sets him apart. I fully expect him to be one of country music’s mega-stars in the near future.